Would you like to become an excellent writer, the kind that agents and editors are looking for? Not by following one of those “ten steps to a bestselling novel” guides. Not by getting feedback on your writing from members of your writers’ group who don’t know anything more about writing excellence than you do. You acquire expertise the same way that people in other fields like sports and music do—by learning through practice. 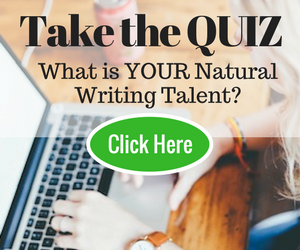 Now you may think that you practice writing skills. Maybe you do morning pages, or a lot of freewriting. But while such practices are great for self-exploration, they don’t teach you the skills you need to write for other people. They don’t teach you how to grab and keep the attention of your readers. To make that happen, you need to master a large repertoire of writing skills. Writing—like hitting a major-league fastball or performing a Liszt piano concerto—is a complex skill. Like any complex skill, it’s best learned by breaking it down into its component skills and practicing each “mini-skill” separately, then putting all the skills together. But how does one do that? They’ve also learned that people who become experts always break a skill into its component parts and practice each part separately, then put them all together. Think, for example, of an aspiring baseball player who practices hitting skills one at a time, first keeping his eyes on the ball, then positioning his feet correctly, then holding the bat properly, and so on. After practicing each individual skill for a long time, he’ll start putting them all together into a swing. Writing is an even more complex skill than hitting a baseball. If we want to improve our writing skills, we need to practice its component skills. The skills athletes practice are both mental and physical; the skills writers need are entirely mental. Just as athletes train their bodies to move in certain ways, so we writers need to train the faculties that allow us to produce excellent writing. We need “content” faculties—such as observation, imagination and curiosity—to give us ideas and material for our writing. We need the skill of being able to establish a natural relationship with readers. We also need craft skills. First the skills of the “large” craft or genre, such as creating characters and plot; second, the skills of the “small” craft—the ability to come up with effective words and arrange them into sentences that keep our readers turning the pages. That’s a lot of skills! Naturally, we can’t learn them all at once. So we need to decide which one or two we’re going to focus on first. Once we’ve made that decision, we can learn those skills the way all experts do, through practice. The kind of practice that creates experts is not just mindless drill. Dr. K. Anders Ericsson, the leading expertise researcher, uses the term “deliberate practice” to distinguish practice that leads to excellence from ordinary hacking around. Deliberate practice is activity explicitly designed for a specific purpose: to learn a new skill or improve one we already have. When most people practice, Ericsson points out, they spend their time on things they already know how to do. But deliberate practice, he says, “entails considerable, specific, and sustained efforts to do something you can’t do well—or even at all. But if you are up for it, your writing skills will improve far beyond your expectations. Let me show you what practicing one particular skill might look like. Let’s take the skill of writing a simple declarative sentence. First, make a list of nouns, then make a list of verbs. Suppose you choose these nouns: the boys, she, the city, we, Franklin. And these verbs: run, fall, live, meet, go. From your lists, choose a noun, and a verb that makes sense with it, and put them together, along with any other words you need to make a complete sentence. Keep your sentences as short as you can. For example, The boys ran away. Now pick another noun and another verb and make a complete sentence with them. Do this practice several times until you get the hang of it. As you practice, listen to the words you have chosen, not for their meanings, but for what they are doing in their sentences. Notice that your noun (or noun phrase, like The boys) comes first in the sentence. Notice what it’s doing—naming a person, place, thing or idea. Now notice that the verb comes second. Notice what it’s doing—saying something about what the subject is or does. As you keep writing short declarative sentences, try to feel, with your mind, even with your body, this basic rhythm that’s fundamental to all English sentences: naming/saying something about what’s been named. Or, as the grammarians put it: subject/predicate, subject/predicate. Linking verbs – These do not show any action, but link the subject with the rest of the sentence. For example, in the following sentences, the verbs do not show any action taking place. Transitive verbs – Here, the action (verb) is performed by the subject (noun) to the object (noun). For example, in the sentence Joe ate lunch, the action (eating) passes from the subject (Joe) to the object (lunch). Intransitive verbs – Here, the action (verb) is performed by the subject (noun), but it does not act on the object (noun). For example, in the sentence Joe ran down the street,there is the subject (Joe) and the verb (run), but the verb does not act on an object. Try writing ten short sentences using the be verb, then ten with each of the other kinds of verb. Don’t worry about the particular words you’re using; instead, concentrate on noticing, even sensing physically, the different qualities of each sentence construction. Read your sentences out loud. What do you notice? Now try writing a short passage with an awareness of the four different kinds of verbs. What effects can you create by mixing up these sentence types? Pick a passage by one of your favorite writers. Read through it slowly, noticing how your writer uses different kinds of verbs. Now imitate the passage by writing a few sentences in which you use the same kinds of verbs in the same order as your model writer does. They are the shortest, most basic sentences available to us in English. If you feel your command of sentence structures is shaky, practicing kernels will ground you in the basics. Once you’ve mastered kernels and can write them at will, without having to stop and think, you can go on to learn techniques for writing more complicated sentences. Or adverbs (We lived together happily.). … And on and on through the many structures that can be used to add interest and music to our sentences. You can practice combining kernels and longer sentences into paragraphs. You can practice varying the length of your sentences to create rhythm, emphasis and interest. And there are many more techniques you can practice and add to your repertoire of sentence constructions. With a larger repertoire of sentence constructions to choose from, your prose will become more varied, more interesting, more musical. You’ll be able to arrange your words in the best order to create surprise or suspense, laughter or tears, or any other effect you want them to have on your readers. Deliberate practice and imitation of models can be used to learn any writing skill, from diction and grammar to imagination and structure. Writers, in general, are not used to practicing; we’d rather get started on that next novel. But if we set aside a little time each day for practice, we could build our skills so that our next novel really will be better than the last one. That’s because practice, quite literally, changes our brains, creating new neural connections. This means that with practice, our skills become more a part of us, something we don’t have to think about as we draft and revise. Regular practice of writing skills sets us firmly on the path to writing excellence. What are your favorite exercises to develop writing skills? Share them in the comments! And if you liked this post, please share it on social media. Barbara Baig is a writer and veteran teacher, author of two books from Writer’s Digest: How to Be a Writer: Building Your Creative Skills Through Practice and Play and Spellbinding Sentences: A Writer’s Guide to Achieving Excellence and Captivating Readers. Barbara offers free writing lessons at WhereWritersLearn.com. When I write articles, blogs, websites I always remember that “He who writes quickly, will not get good writing skills, but the one who writes well, will learn to write quickly”. I admit that I am not a good writer but I kept on practising my writing skills specially the way I write. Putting so much in creating a professional piece of writing should wrap up with thorough proofreading. I agree that good grammar is crucial to writing a good paper, but I also feel that handwriting skills are also a must. I say this because a paper can be worded wonderfully but if it’s hard to distinguish the lettering, then you may not get very far when it comes to getting others to read your work. I’d imagine that if you can’t fix your handwriting, then either typing it out, or hiring a handwriting expert are probably the best alternatives. Thanks, Barbara for this amazing post! I believe tons of patience, hardwork and practice will help develop one’s writing skills. I’m a big fan of journaling and I find it extremely helpful and relevant in fueling my passion for writing. Looking forward to more of your posts! A college English professor once told me, “You are an extraordinary writer. You could be a phenomenal writer if you would rid yourself of the detestable habit of passive writing.” Is is still my fatal flaw, but I keep working on it. It definitely takes a deliberate course of action, as you noted. This post is very helpful. Some people may think that to become a good writer you need to have loads of talent. But as my guitar teacher told me a long time ago, ‘talent is only 10 per cent, hard work and practice accounts for the rest’. That’s why I loved your point about practice – there is no substitute for doing the grunt work. Your exercises look excellent and I look forward to practising them shortly. You’re very welcome, Kim. I agree: If you’ve studied an instrument, you’ve already developed a good understanding of how practice works. You can apply those insights to writing practice as well. Wish I had been given this advice before I wrote and published my first two novels. However, I’m going to do rewrites anyway, and following this advice will make them better the second time around, as well as help me with the trilogy I’m working on. Thank you so much for sharing. Shared on my FB, Google+ and Twitter. You’re very welcome, Aleta. I’m glad you found the comments helpful. Oh hard work and practice, why do you thwart me so?! I’m just starting out and finding it tough, but that’s part of the journey I suppose! Thanks for your comment, amacash. I don’t quite understand why you say hard work and practice thwart you. Can you explain? I loved this,and hopefully it will help me be a better writer. I’m just having problems finding a editor that does editing a way I like. Family is good and all, but they don’t really get it. I’m trying to come up with a new idea to write about, as well! any ideas? Thanks, Breanna. My first book, “How to Be a Writer” contains practices that will help you develop the mental faculties you need to come up with ideas and material for pieces of writing. These faculties include observation, imagination, and curiosity. Thanks for your comments, Raymund. You have chosen an approach to practice used by many writers long before the advent of creative writing courses: namely, the imitation of models of excellence. This is an extremely helpful practice, especially when you add to it some reflection on what you’re learning. I too agree that deliberate practice versus just keep writing are worlds apart. When I first started writing, I divided my time between deliberate practice and my WIP. For instance, I would take a writing prompt and make the entire thing just dialogue, and try to convey the entirety of the character’s emotions through their words. Other times I would refuse to have any dialogue, to make me pay more attention to their movements and facial expressions. I recently watched a video where the suggestion was made to switch a scene to first-person present tense to get more ingrained in the character. I’ve done prompt challenges where I had to use various rhetorical devices, such as parallelism, anaphora, epistrophe, etc. I do exercises to strengthen my setting descriptions and weave them in, as I know that’s a weak spot for me. Those, for me at least, aren’t things that I would specifically practice using the “just keep writing” method, and I think they shorten the learning curve on becoming a stronger writer. I only do up to 30 minutes a day, but I try to do it five days a week. It led to me getting a publishing contract on the first short story I ever wrote. I have your How to be a Writer and Spellbinding Sentences, and am working on a plan to methodically work through them in the coming year. Thanks for your helpful comments, Jayce. You clearly understand what it means to do deliberate practice, and I hope your method of taking writing prompts or other pieces of writing advice and using them as practices will serve as inspiration for others here. Ultimately, as you demonstrate, we all have to become our own writing coaches. One way we do that is by choosing certain practices to repeat over and over until they become part of us and show up in our WIP without our having to think about them. Thanks for buying the books! I hope they prove helpful. Thanks for your helpful comment, Jayce. You clearly understand how deliberate practice works, and it’s great that you’ve taken prompts and other writing tips and turned them into practices. As you demonstrate here, ultimately every writer has to become his or her own writing coach, deciding what’s most important to practice repeatedly. As a former athlete, I always knew that what separated the good from great was the mastery of fundamentals. For example, look at a basketball player such as Steph Curry, arguably one of the greatest players of this, or any, generation. Who is he? He’s a player who can dribble with the best of them, shoot as well as anyone, has incredible courtside vision to see defenders ahead of time, and can defend any player his relative size. And he works on his fundamentals everyday. With a deliberate methodology in mind. He has trainers devise incredibly complex drills that force him to focus on the technique of one simple skill. There are viral videos of him focusing on dribbling one ball, then two, of different sizes. And he does it over, and over, and over again. As writers, it’s important to move forward with our skills, but as Barbara has laid out, it’s just as important as working outside our comfort zones to improve our writing. If that means going back to the basics to grasp a better understanding of the architecture of a sentence, then that’s a great place to start. Thanks, David, for your description of this basketball player engaging in deliberate practice. He (like other professional athletes) has a coach who can devise practices for him. Writers need to be their own best coaches–and, once they learn to think about becoming writers in terms of skills and practice–they can be. Instead of just writing, we can always be asking ourselves, What skill am I trying to develop here? thanks & i must say that along with your precious advice one more thing is required to hone writing skill and that is enthusiasm. this is the thing that works as a remedy to learn any new skill. full on energy and innate talent evolves in a great way. I’m glad you brought that up, jaypal. You’re absolutely right: enthusiasm provides the fuel that gives us energy for repeated practice. It’s also true that, if we pay attention as we practice, we’ll notice new things about language and how we like to use it, which will keep renewing our enthusiasm for practice. Christine commented about re-writng pages of a book; and the subconscious mind will absorb good sentence structure. Writing someone else’s words; ‘re-wires’ the brain and brings what is done consciously to the subconscious where the new skill is retained. That’s exactly what I believe happened; as I was pasting up other’s words, proofreading other’s words, or typing in the articles before page paginating a newspaper page, articles sometimes sent in by PR agencies or other professional type communications persons. I was consciously; ‘just’ a graphic production person, or typist or proofreader, but my mind was retaining what is good sentence structure. I was part of the communications practice. part of working; even data entry of information to a computer….and the natural ability is there, the gift to write will emerge. PUT IT TO PRACTICE …do what you can do; and all of a sudden you will find a new skill coming forth; that was laying dormant. Yes, if we’re lucky enough to find a job where people are actually working with words (but not everyone can be that fortunate), then we can learn a lot from them and their work. We get the opportunity to find out how people actually use words in the professional world, rather than just theorize about them, as so often happens in school. Correct; while I did attend a great art school and learned to draw better, getting the experience on one’s belt notch to show we can do was difficult. So; as was taught in the school, I applied for a production job (days before computers) in paste up at a small town newspaper group. Pay wasn’t so wonderful, and I was young…but WISDOM now says…(I am a believer in God) God directed me to ‘just the right place’ … just to be part of a business where I was working with words; and getting to proofread them, and I did proofread much in all graphic art employ; I was indeed subconsciously learning proper sentence structure. (this comment may not be the ideal to my writing ability) I KNOW what sounds good and what needs editing. It depends on what you think excellent is. Do you want to make a career of writing with a full-time job with benefits? Do you want to build an empire out of your writing–complete with raving fans? Do you want to go down in history as an author of literature? They are all different paths. Thanks for your comment, Pat. Yes, these are different paths–but they all require excellent writing skills. In response to the comment above, I think this post pretty clearly describes the difference between “just keep writing” and “practice, practice” — the latter, as Baig explains, is a reference to doing deliberate practice. Sure, there’s a value in doing morning pages or freewriting (for me, it’s when I’m stuck or have too much on my mind and need to get it out before I focus on my novel). But it’s deliberate practice that makes my writing better, whether it’s challenging myself to write 20 sentences that contain a prepositional phrase or taking a page from my book and changing the point of view to see how that affects the work. Thanks, Brenda. You give good examples of specific ways in which deliberate practice can make us better writers. I started writing seven years ago. I was terrible. Worse than terrible. I kept writing. And writing. And writing. I had someone compare my stuff from seven years ago to something I wrote a month ago. They couldn’t believe the difference. I had grown as a writer and this person thought it was amazing. You may not believe in “keep writing and you will get better”, but I do. As you can tell, it seriously worked for me. Thanks for your comment, Michayla. Clearly you believe that “just writing” works for you. You might want to consider, though, that it’s taken you seven years of “just writing” to get better. A person who works devotedly through all the practices in “Spellbinding Sentences” can become an excellent writer in a year or less. This is an interesting view on how to become better at writing but, while writing simple sentences over and over my help you better understand sentence structure, I don’t know if it’s the best way to hone writing skills. Like you said, writing is a complex skill. There are many levels of it to master. This is only elementary and I think that very many people have moved past understanding sentence structure. It’s not worth it to practice something that, for many writers, comes as natural as breathing. Perhaps you were just using it as an example. If so, then I completely understand. I agree that practice is key. I’m among the group that says write all the time. Write and you will get better. However, I don’t think anyone can get better without feedback. For me, feedback is key. I give my writing to a peer or someone who is more advanced than me and ask their opinion. They are able to look at it with fresh eyes and tell me what works and what doesn’t. However, you must be sure that the person you ask will not sugarcoat anything to make you feel good. They have to care enough about you to be brutally honest. I have found this to be one of the most helpful methods for improving myself. Thanks for your comment, Katherine. We need to begin with mastering simple sentence structures because they are the foundation for more complex structures, such as sentences that include free modifiers, dependent clauses, appositives, and nominative absolutes. What the author of today’s topic was speaking about was, I believe, diagraming a sentence. UGH…how doing such in grammar school or high school took from the ‘excitement’ of writing itself. It is a necessity, just as mom and dad need to budget for the socks and under garments at Christmas time; before buying that ‘COOL’ coveted external outfit that would dazzle classmates eyes. The foundation has to be laid. I agree that the best way to write is ‘to learn by practice.’ This differs from the advice: ‘just write you will get better.’ To elaborate on the difference of learning by practice and just write; you will get better, I offer my own personal example. I had in mind to be a cartoonist. A cartoonist is one who forms an idea in mind (often humorous) and with the use of imagination, past experiences remembered with the present moment can take bring forth a visually humorous cartoon. The skills are indeed the content faculties of observation, imagination, and curiosity. Then; the craft of coming up with the right concise words along with drawing the character(s) for the panel or series of panels. If the character is drawn well; looks real, indeed we formed a ‘connecting relationship’ to the reader of the panel and strip. It is as though we ‘told a joke’ verbally…but BETTER YET we set the scene and drew it out visually and connected to a wide and diverse audience. in the seeing …more people understand ‘the joke’ than if it were verbally spoken. That’s the magic of cartooning. Page pagination teaches good order to writing, as sometimes we can see that a paragraph should be moved before or after another paragraph. (ask the editor first or watch as the editor gives the editorial direction) I was learning writing by being around those who write. I worked in a print firm; working in pre press setting up all types of graphic material. In this work I was developing the ‘small craft’ described in the article of rearranging words so that it said it JUST RIGHT. For fliers, business cards, letterhead. Simple phrases. I was becoming a writer AND earning a living thru the everyday production of words on a page. I also got to hone the cartoon ability as well. I suppose what I was doing was ‘having fun’ with work! In the art school (perhaps even high school) I determined in mind that I wasn’t going to just work for a paycheck alone. To work in any capacity ‘close to’ what one enjoys…is a blessing that will never depreciate in value. Anything…close to what one enjoys. If you want to be a writer don’t fry burgers and write in private (that’s a hobby) To learn to write…PRACTICE IT … every day; in the everyday working. I hope that helps add to the author’s words. Thanks very much, Elizabeth. You were fortunate to be able to get a job in a field where you could learn about good writing. I want to add that my approach has nothing to do with diagramming sentences. In diagramming, we take sentences apart; in my approach, we practice building them, so that the skills of sentence-making become automatic. I’m not sure why “keep writing and you’ll get better” is the worst piece of advice, while “practice, practice” is the best. They sound damn similar to me. This is an excellent post. Another way to practice your writing skills and become a better writer is similar to your advice to imitate models of excellence. In this case, pick a passage from your favorite author and handwrite it, word-for-word, several times. I have read that this also changes our brains and creates new neural connections. For this method, I don’t believe that you have to think about or analyze the passage as you write it, but your subconscious absorbs it. Thanks, Christine. Yes, that is indeed an excellent practice technique, one used by many writers who went on to become famous. If I may answer your question, Amy, there is a difference between “keep writing and you’ll get better” and “practice, practice.” The former will not necessarily help you become a great author because you’re not doing it consciously. Your conscious mind first learns a new skill and then passes it on to the subconscious where it’s retained. When that happens, you can write (or do any skill) automatically without thinking about it. If you’re just writing to get better, you’re probably not really paying attention to what mechanics you used to cause a certain effect. You’re just practicing the skills you already know how to do, which will not further your growth as a writer. Practicing and analyzing new types of sentences, sentence combos, paragraphs, etc. will rewire your brain, giving you the skills needed to become a great author. Thanks, Christine. That’s an excellent explanation of the difference between the two approaches. Thanks for your comment, Amy. Christine’s given a great answer, below. Thank you for this post. Although I always thought I was meant to be a writer, I realize that I am now far better than I was nine years back. The difference is the practice of writing for the last nine years. Many writers are, I think, disorganized creatures, ones who loathe practice. Yet practice is more than a karmic effort, it is about burning quality writing into the being. Thanks for this post, that once again reminds me that I might be quite another quality of writer so many years hence. Practice makes perfect. Practice is wearying. Practice is essential. You’re very welcome. You might want to consider that practice does not have to be wearying. Perhaps you that it is because you’re practicing the same thing over and over. But, with a change of intention, practice can be play, the discovery of new techniques. Thanks for this amazing post! I guess practice is always the key because it is step by step that one climbs on to the road to success. Especially for me, I have found reading as an exercise for my soul. Writing is the food. One easy exercise I have been doing is writing small micro poetry posts that I post on Twitter based on a word prompt. There are numerous such prompts and it triggers the writer in me which can possibly write on anything. It’s a daily exercise and a useful one and always helps know how other people respond to similar prompts. There is so much creativity to share. You’re most welcome. When you do your prompts, you might consider thinking about which particular skill you’re practicing. As an ex-musician, I know the value of practice. It’s very interesting to read an in-depth post on how to practice writing. Excellent! Thanks for your comment, Mary! In my experience, people who’ve been musicians or actors or athletes have a very solid understanding of practice, because in those fields practice is the accepted way to learn. Maybe someday it will be like that with writing, too.